This 8,900 s.f. 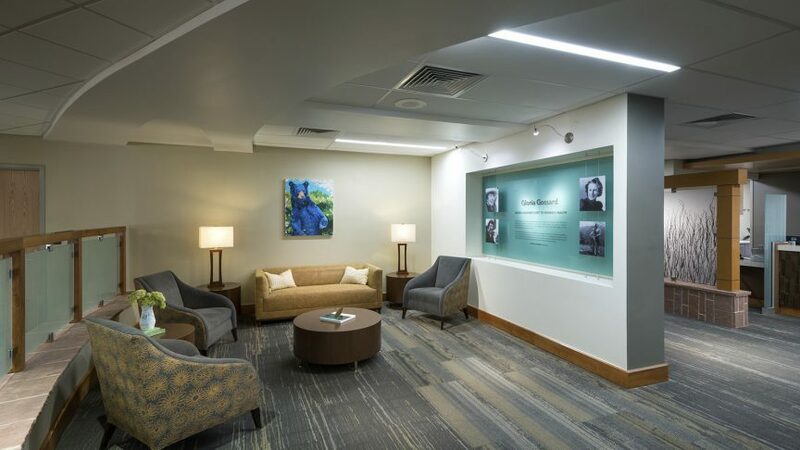 cancer center was designed to transform the existing small, cramped, and outdated center into a comfortable, healing, relaxed home-like environment. 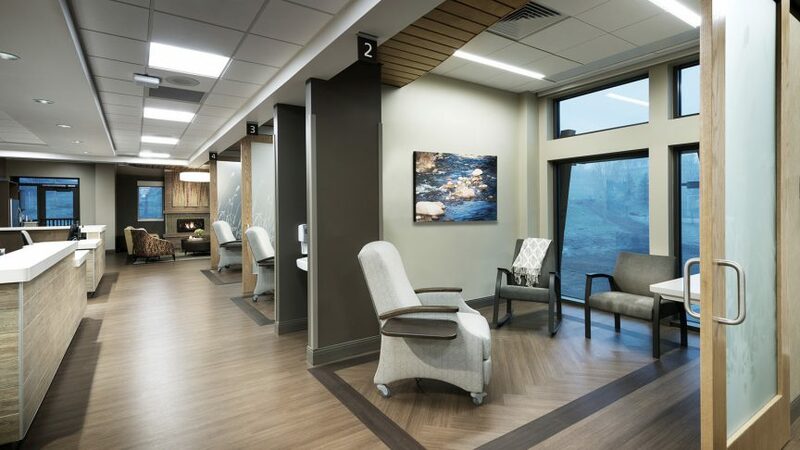 The program includes four exam rooms, four open infusion bays, four private infusion bays, two nurse’s stations, office spaces, support spaces, and a family waiting area. The original building was all wood construction with many issues that needed correction, including major structural modification. The mountain environment presented its own set of challenges including maintaining a comfortable interior temperature in occasional harsh weather, and improving the building envelope to make a weather-tight barrier. 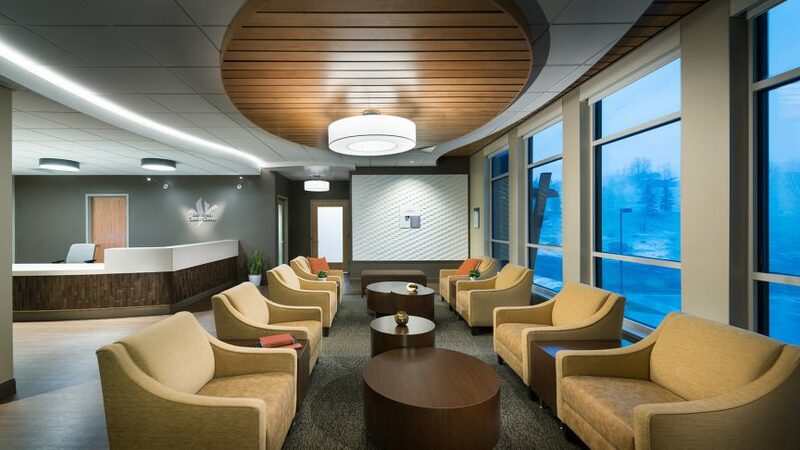 Steamboat Springs is a popular ski area, so the design team took advantage of the beautiful surroundings by building a large outdoor balcony for patients and their families to have a place to relax. 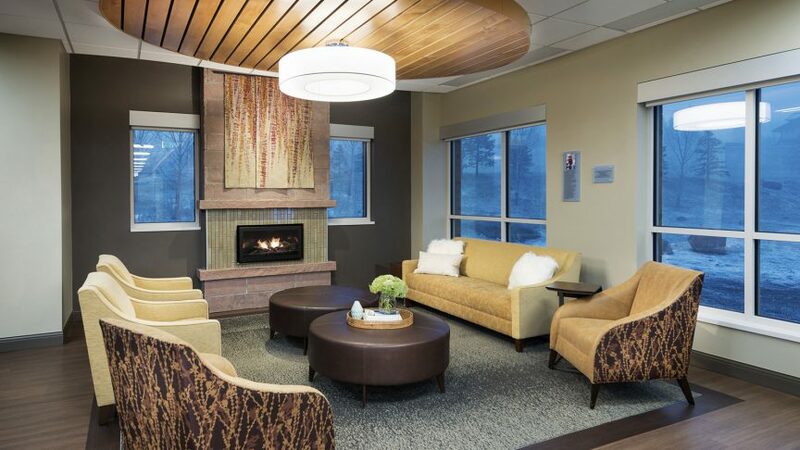 The infusion bays and family waiting areas are positioned to have views of the ski mountains and green space, and the warm fireplace in the family waiting area is an important feature that imparts a sense of home and acts as a stress reducer. 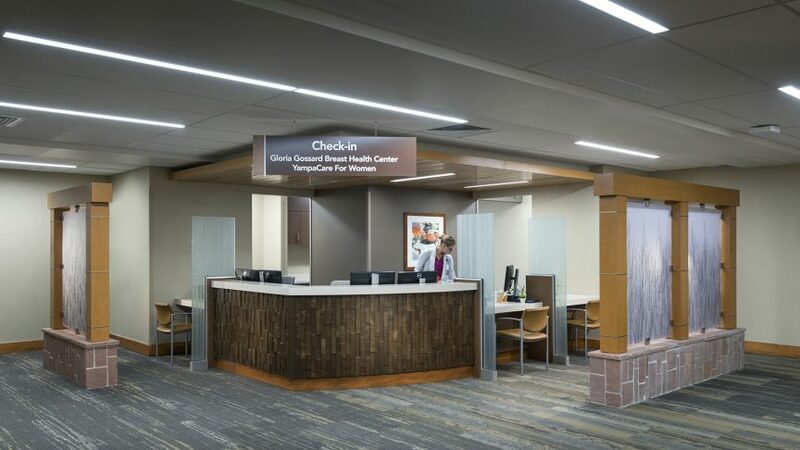 The design team was tasked with making the building easy to visually navigate for all patients from a diverse age and socioeconomic range, and to distinguish the cancer center from the rest of the facility, thus the implemented finishes are slightly different from the rest of the suites.